If you report a crime to the police they will record the details and start an investigation if they think this is appropriate. If a suspect is caught they will be charged, but they may not necessarily go to court to receive punishment for their crime. The latest statistics from the Home Office show that 72% of offenders are fined and 13% of offenders are given some form of community service. Only 7% of offenders are actually sent to prison. After the police have caught a suspect they can refer the case to the Crown Prosecution Service (CPS) if they think the case should go to court. In many cases, however, they will decide to handle the case themselves if there isn’t enough evidence for a full prosecution. Simple caution. This was known in the past as a formal caution. It is used for offenders who have committed lesser crimes such as theft or anti-social behaviour. Simple cautions are used as deterrent so the offender will think twice about offending again. A simple caution will not result in you getting a criminal record, but your offence will be recorded on the police database. Conditional caution. More serious crimes that an offender commits may result in a conditional caution that as its name suggests, places conditions on the offender. Conditions can include rehabilitation or reparation for the damage the crime has caused. In 2006, changes were made to conditional cautions. Now they include a possible financial penalty. Up to 20 hours of unpaid work in the community or the attendance at an institution for a maximum of 20 hours. These cautions are not a criminal conviction, but the details of your offence will be recorded on the police database. 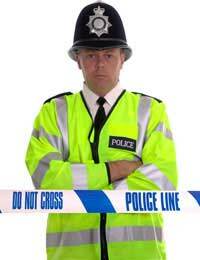 If you are under 17 years of age the police can’t give you a simple or conditional caution. Instead they can give a reprimand or final warning. Both of these deterrents are designed to formalise the fact that the police are aware of your offence. The reprimand or final warning is given in front of your parents or guardian. They will also receive written details of the reprimand or final warning the police have given you. The details of the reprimand or final warning are held on the police database. Anyone that received a final warning will also be referred to the Youth Offending Team. The police can give you a Fixed Penalty Notice if you commit a minor offence. These notices can be given to anyone over 10 years of age, and can cost between £30 and £80. You may receive a Fixed Penalty Notice for excessive noise, not clearing up after your dog, littering or creating graffiti. These notices don’t mean you have a criminal record, but if you don’t pay them could go to court or find yourself in prison. The police can also hand out Penalty Notices for Disorder. As their name suggests, these are for being drunk in public for instance. These notices can only be issued to people over 16 years of age and can range from £50 to £80 depending on the offence. Some offences that could attract these kinds of fines include: shop lifting (up to the value of £200), harassing anyone in public, destroying property (up to the value of £500), selling alcohol to anyone under 18 years of age or using threatening words or behaviour. Local Child Curfew. The police can ban a child under the age of 16 from being in a public place between the hours of 9pm and 6am unless accompanied by an adult. Child Safety Order. These orders are for children under the age of 10. If they have committed an offence, they will be ordered to come under the supervision of the Youth Offending Team (YOT). Anti-Social Behaviour Order (ASBO). These orders can be handed to anyone who is 10 or over years of age. They are for offenders who cause harassment in their communities. Acceptable Behaviour Contract. The Youth Offending Team handles these contracts with the parents of the offender to modify their behaviour.Individual Support Orders. These can be given in addition to an ASBO and require the offender to attend sessions each week to improve their behaviour. They usually last up to 6 months. My son was arrested in June. This was the second time for the same offence. I'm confused because he was bailed in June, went back to station 8 weeks ago but know one to see him, so was bailed again until this week 6/12/16. He was only there half an hour and told that he isn't on bail anymore and they will phone him when they are ready to charge him. I don't understand. Is he free or what. Unfortunately, we cannot advise on this apart from to say you would need to seek legal advice. You may also wish to give the Offenders' Families helpline a call via the link here if you feel you need to talk this through. I can only direct you to the MIND article here which should be able to point you in the right direction on how to encourage your son to seek help. I have a question, just for reassurance and information. For the first time ever in my life, I experienced a domestic assault. My boyfriend of a year (we don't live together) suddenly beat me viciously a few weeks ago and threw me down a flight of stairs where I sustained a shattered and broken ankle. He also beat me on the face and head, threatened me with a huge knife and threatened to whip me with his belt and buckle! I managed to talk him into going to sleep and when he fell asleep, I called the ambulance and police. He was arrested and was in jail a few days, then charged with GBH (and a drug charge, not sure what) and released home with an electronic tag. The first hearing is next week to determine if there will be a trial. I had a four hour surgery on my ankle and now I am in a cast for 6-8 weeks but luckily no facial damage. Basically all I want to know is, is he likely to get any prison time at all, as it is a first offence? Just for peace of mind! Thanks. I am very sorry to hear this. I'm afraid we cannot speculate what a court may decide. As you can see from the Sentencing Council link here, the guideline covers issues which are relevant across the range of offences that might be committed in a domestic context and that will need to be considered. I hope this helps. My son was arrested this feb for harassment. he is 21 now .The person involved reported this in july of the year before and they didn't arrest him until feb. Should my son have been given a warning first? He has also attended the police station on bail four times now and as it takes over an hour to get there he has had to take time off work each time.The last time he attended he was there for 5 minutes and they told him to come back in july. They also took his laptop and phone. can he have his bail times changed because of his work and how many times can they keep calling him to the police station? Any information would be very helpful. It isn't a bad harassment thing he did,he was just contacting a person through a dating website and she stopped contact and he continued messaging her. He has never been in trouble before but may end up losing his job if he keeps having to take time off work. thanks Should we get him a solicitor?